Movement is essential to life. When you think about it, as human beings we are constantly moving. Even when we are sleeping, our lungs are expanding and contracting. At the cellular level, our cells vibrate back and forth. We are constantly in motion. How does this apply to our daily life? Mobility is a crucial part of being healthy. Taking time each day to improve upon your flexibility can mean the difference between being active well into your nineties and beyond or being confined to a wheelchair for the lack of movement. It’s easy to justify a lack of mobility based on age. And yes, if we don’t take proper care of our bodies, we do lose flexibility over the years. But the key there is “if we don’t take proper care of our bodies…”. You can improve your flexibility and mobility by simply taking time each day to work on it. Each morning, I take 5-10 minutes to simply stretch. 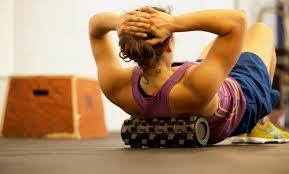 I use a foam roller to roll out my larger muscle groups. I use a lacrosse ball to target the smaller muscles. Then I spend a few minutes moving into different stretches and poses that feel right for my body. For example, I have tight hips due to an injury years ago so I spend some extra time working through the ranges of motion of my hips. It doesn’t take a lot of work. It doesn’t take a lot of time. Anyone can find 5-10 minutes a day to stretch (even if it means – gasp! – waking up that much earlier). Not sure how to use a foam roller or lacrosse ball? Join us for our bimonthly mobility seminars at Anderson Chiropractic Group. Call 705.734.9520 to reserve a spot as space is limited to just 10 participants each class. Our next seminar is Tuesday September 21 at 6PM.